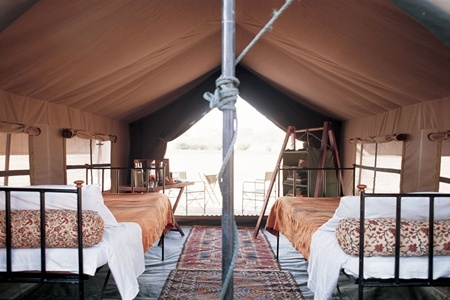 Jacks Camp is a remote luxury tented camp located under a palm grove in the Kalahari Desert, bordering the Makgadikgadi National Park. 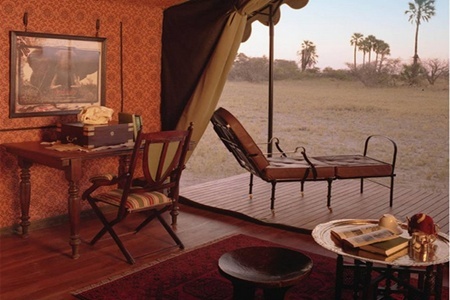 There are 10 East African style tents (7 double & 3 twin) with en-suite facilities including indoor & outdoor showers. Decorated with a stylish 1940's atmosphere. View the rugged wilderness your private verandah. 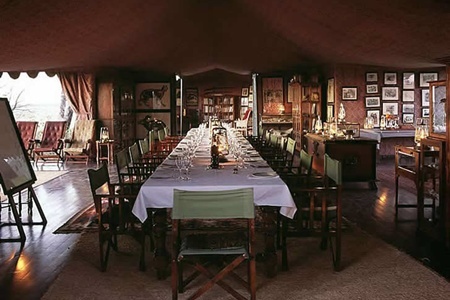 There is a main mess tent where meals are enjoyed, as well as a reference library, antique pool table and well stocked drinks chest. 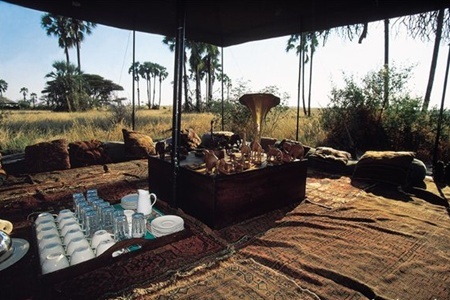 The "tea tent" decorated with Persian carpets and cushions where high tea is enjoyed. There is also a small plunge pool to cool off in. 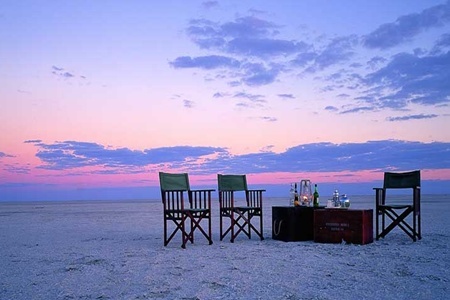 Jacks Camp offers a unique Kalahari desert experience in the desolate Makgadikgadi Pans - the remnants of a huge superlake that used to cover most of southern Africa. Some activities are seasonal and dependant on the weather. - Quad bike across the Makgadikadi Salt Pans. - View the migration of zebra & wildebeest - the second largest in Africa & last remaining in southern Africa. 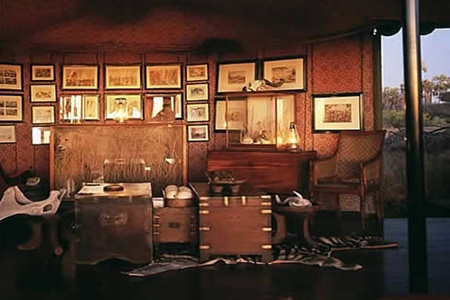 Guides range from zoologists to botanists providing a rich and informative insight to the treasures of the Kalahari Desert. Access to the lodge is possible by light aircraft from Maun. 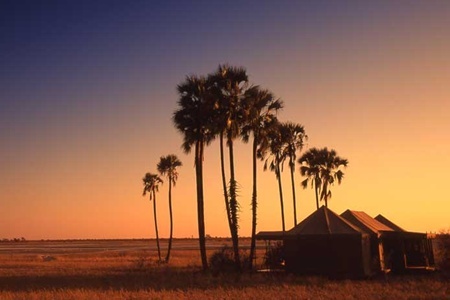 There are daily flights from Johannesburg to Maun. 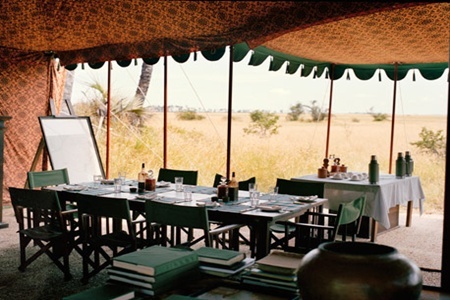 Please ask us for the best way to include Jacks Camp in your African safari. Your stay includes all meals, drinks (excluding premium brands) and excursions. Couples and families are welcome. Note that this is a non-electricity camp. 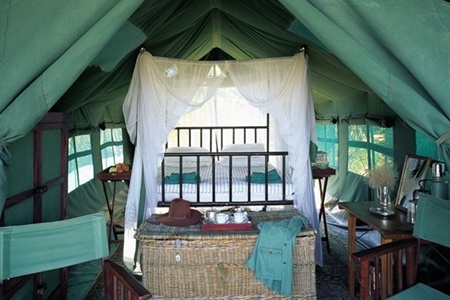 A stay at Jacks Camp will compliment any Botswana safari. We do recommend a minimum of 3 nights.